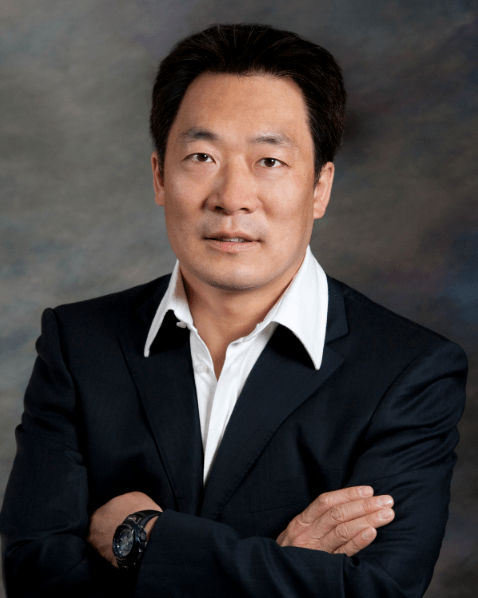 In early 2008, Ji Shen, a U.S. citizen of Chinese descent, was two years into his international educational venture called iClassmate Educational Technologies, building a learning management system with the aspiration of digitizing the entire teaching and learning process for schools. The vision was ambitious. As Ji tells it, in his mind, teachers should have a dashboard type of tool at their fingertips, showing a clear picture at anytime of how every student in the class is doing, such as homework results, their grade books, class participation records, itemized analysis of where they have the most problem in learning, where teachers can quickly intervene for improvements, and timely communications with parents with recommendations through email showing not only scores but also images of the student’s work. For the students, he envisioned each of them would have a digital portfolio archiving images of all their homework, tests, class works, blogs, and anything related to student life in a facebook-plus-twitter-like environment, also along with a dashboard showing where they stand in terms of grades, teacher’s comments, and where their performance can be improved through itemized analysis results, and what type of enrichment materials or exercises they should work on. With the simple thought that there are over 200 million students in China at any given time, more than the student population of any other country in the world, Ji figured the market could be vast; and with some experience and knowledge accumulated while working as general manager of ‘greater China’ (as a sales territory) for a U.S. technology company, he picked China to start. In fact, Ji Shen has been an entrepreneur and software architect in the digital media technology area for some time now. In 1996, he co-founded a technology startup called Aegisoft in Rockville, Maryland, developing a key technology for digital rights management (DRM) for regulating the distribution of digital goods, such as music, video, and software over the internet. When RealNetworks, maker of the popular RealPlayer software in Seattle, acquired Aegisoft, the DRM technology was integrated into 150 million RealPlayers. Growing up in China in his teenage years, he always felt so many things in the educational system were antiquated, and he dreamt about retiring one day to become a teacher himself so that he could help change things for the better—meanwhile, advances in internet, multimedia, and social networking technologies continued to excite him. A venture was founded, and he went on a multi-year commute between San Diego and Shanghai, developing a system he called “iClassmate Learning Systems”. To implement the digital transformation, Ji Shen found that his team of 30 developers had to integrate a long list of technologies together into a larger system. The complexity was almost daunting. One of the challenges that kept coming up was the need to scan large volumes of paper quickly with minimal costs in order to capture enough data throughout the learning and teaching processes. Each year, only 1 percent of the Chinese student population are lucky enough to enter reputable colleges which can give them real prospects of a good job after graduation. To be in the top 1 percent, students must survive literally an ocean of homework, quizzes, exams, simulated tests, and mountainous enrichment materials, with grueling 16 hour days fighting through cut throat competitions, beginning even in the fifth grade. With sometimes over 70 students in a class, and close to 20 classes at each grade level of a typical high school, the digitalization volume for a single major exam at one school is over 120,000 sheets of paper. Victor: You have a fascinating story! As for the HoverCam, what exactly did you envision and why the name? Ji: I envisioned it as a non-obstrusive camera device hovering over desks to capture school works for both teachers and (every) students. For teachers, it’s a hovering grading machine, allowing teachers to grade paper with just a regular pen while the device quietly capturing all grading marks and scores in real time, and also recognizing bubble sheet automatically, so that grade book entries are completed the very second a teacher finishes grading or commenting on a student’s work. For students, it could be an image capturing device for all of their homework and quizzes. They can upload the images easily to create personal portfolio collections, share with family and friends, and receive feedback electronically. The name “HoverCam”, short for a “hovering camera”, seemed fitting for a camera that hovers above in an non-obstrusive fashion to intelligently capture and process real-time high resolution video and images. Victor: When you surveyed the market, what did you see? There must have been some existing tools already. Weren’t they enough? Ji: There were document cameras out there. They were typically quite big and heavy, taking up precious desktop space. The optical parts on them are often CCD sensors with fairly low resolution, max’ed out around 1 million pixels. While every document camera can show a clear picture when zooming in on an object, they almost always display distortion when imaging an A4 or A3 sized document. With a price tag around $1000, these existing document cameras are just not practical to be on every teacher’s desk, let alone on a student’s. Victor: What was the timeline on development? Ji: By early 2009, the first HoverCam prototype was created. It was fitted with a 3 megapixel CMOS camera sensor and a specialized, fixed-focal-length lens without any discernible distortion when shooting at an A4-sized document. The breakthrough of the device came in the fact that all the “smart” or intricacies of the optical assembly found in a CCD document camera was streamlined and offloaded to software running on a PC or a Mac. This allows the device itself to be greatly simplified, very compact/portable, lightweight, and with much lowered production cost. It also means that the “brain” is now in the software on a computer, with highly interactive and user-friendly controls (the realtime image and video manipulation technologies found inside of the HoverCam software), making the product significantly more feature-rich and powerful than a state-of-the-art $700 Elmo 1 megapixel camera. Victor: Any examples of it in action, any interesting results? Ji: Pilot schools using iClassmate Learning Systems in China are slowly finding real and significant improvements in student performance. At the same time, even though a solid foundation is built for the software business, I felt that a large scale adoption of this behavior-changing learning system still had years to go. But the HoverCam device started to take on a life of its own. I returned to the US to be closer to family and to nurture the new technology in the more developed business environment in the U.S.. I founded Pathway Innovations in September, 2009, with a 100 percent focus on the HoverCam. I believe the HoverCam can work with many software programs, finding applications from automatic exam grading, book scanning, distance learning, to video presentations, so that every teacher in America can afford one, using it on their desktops and on the podium. As a side note, I am still a shareholder of iClassmate. Victor: How would you describe it in an elevator conversation? Ji: The HoverCam is an all-in-one document imaging device/document camera, integrating video presentation, scanning, distance learning, and video recording into a highly compact, lightweight, and easy to use form factor. It’s amazing price performance ratio is unprecedented in the document camera market. Victor: What does it do? What are the benefits (especially for education/classrooms/academic use)? Ji: As it turns out, most of teachers use the HoverCam as a visual presentation tool/Document Camera. The distortion free video image produced through the camera and the HoverCam Flex software gives users an amazingly sharp picture. The advanced real time zoom function includes dynamic resolution enhancement, making the functionality of the HoverCam rivals high end document cameras with 3 to 4 times the cost. At the same time, the HoverCam is a great scanner. With a click of the button, you can take an instantaneous scan of an entire document. (Takes about half a second.) The device also accommodates warped pages such as an open book without any need of adjustment from the user. We have built OCR and Text-To-Speed features to help the visually impaired students read and learn. Teachers can also use the device for recognizing bubble sheets printed with dynamically generated standard test quiz questions. The compact form factor allows teachers to use it anywhere and quickly grade a quiz. Scores will be entered into an online grade book automatically. Grades can be aggregated and analyzed on district level allowing for better assessments and early intervention. Victor: How is it unique from other similar products/services? What companies do you see as in the same market? Ji: There are no other USB based CMOS docu cams which come close to the HoverCam, either in terms of its affordable price, or in richness in function. The versatility and compactness is unique. The software which comes with the HoverCam hardware is a patented technology making it possible to realize rich functions without the rich price. Our next generation product, called the Neo 5 series, will also include direct output to a projector without requiring an attached computer. However, the current features are still optionally available on a PC, giving users the best of both worlds. Victor: When was it developed? What is something interesting or relevant about its development history? Ji: Design of the HoverCam started in 2008, and the first prototype was created in 2009. We launched the product at the 2010 CUE conference in Palm Spring, CA. Dr. John Ittelson of Cal State Monterey Bay spotted us at CES’2010 and brought the HoverCam to the educational community. Victor: Where did it originate? Where can you get it now? Ji: The design of the hovercam was done in California, and the you can order them from thehovercam.com, Amazon, and more importantly through resellers in your local areas. Victor: How much does it cost? What are the options? Ji: The HoverCam is offered at MSRP $219. There are not a lot of bells and whistles, it is a single unit, and simply works out of the box. Standard accessories includes the retractable/telescopic stand, a carrying pouch, and a positioning mat. Software will be included on the flash memory on the unit. A HoverCam Neo 3 model has two cameras capturing the presenter and the document at the same time, making it suitable for distance learning and teaching session recording. The list price for Neo 3 is $279. HoverCam Neo 5 can operate on battery power and output 1080P full motion HD directly to a projector with local recording ability for MSRP of $399. Victor: What are some different ways it can be used? Ji: Classroom instructions with live annotations on screen or right on the paper. Works with an Interactive White Board through a TWAIN interface. Help improve literacy through OCR and Text-to-Speech for students. Also helps the Visually Impaired students. Serves as a grading machine for taking quizzes at the spur of the moment. It can also be a good book scanner. Victor: Who is it particularly tailored for? Who is it not for? Ji: It is particularly designed for teachers. We want to make a student cam available soon. Victor: What are your thoughts on education these days? Ji: Education should be a highly engaging and interactive process. Technology needs to be affordable for every classroom, every teacher, and every student. Education should stimulate the learner’s mind, inspire curiosity and bring out the creative genius in every student. Educators should have leading-edge means at their hands in communicating and interacting with students and parents. Educators should have a quantitative view of all aspects of learning, and catch opportunities of early intervention. Victor: What sort of formative experiences in your own education helped to inform your approach to creating the Hover Cam? Ji: My professional experience has been centered around video and digital media technologies. “A picture is worth a thousand words”. I believed that clear pictures help shape clear minds. Victor: How does the Hover Cam address some of your concerns about education? Ji: One problem facing education is budget cuts. As much as America needs to stay on the forefront of educational technology applications in the classrooms, technology isn’t affordable to every teacher. I believe the HoverCam is a device which can be high quality and broadly affordable at the same time. That’s what makes it a unique offering in education. Victor: What is your outlook on the future of education? Ji: Technology will transform education. I see an increasingly digital environment that can help teachers teach better, students learn better, perform better, and let parents get more involved in their children’s learning process. There is an imaging revolution, and in a bigger context, a digital revolution. We want to be a positive force in help shaping that. America should lead this digital revolution. Victor: What else can you tell educators and other leaders in and around education about the value of the Hover Cam? Ji: Thousands of schools around the country are now discovering the HoverCam. We have teachers who used the HoverCam first-hand, telling other teachers how the HoverCam can be even better than a product which costs three times as much. Victor: What makes you say that? Ji: They are finding more applications in this little device than in much fancier products. If you are interested in saving your district the precious budget, and save yourself money, you should stop before buying another $600 document camera. Take a look at the HoverCam, and you might be pleasantly surprised how much it can do for so little.